Mad Hatter's Hat Mug | It's always tea time! Great for any collector or novelist! 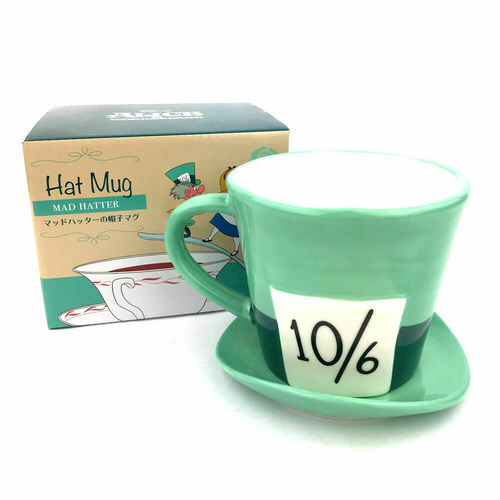 Alice in Wonderland collectors will go mad over this 3D Mad Hatter's Hat Mug! 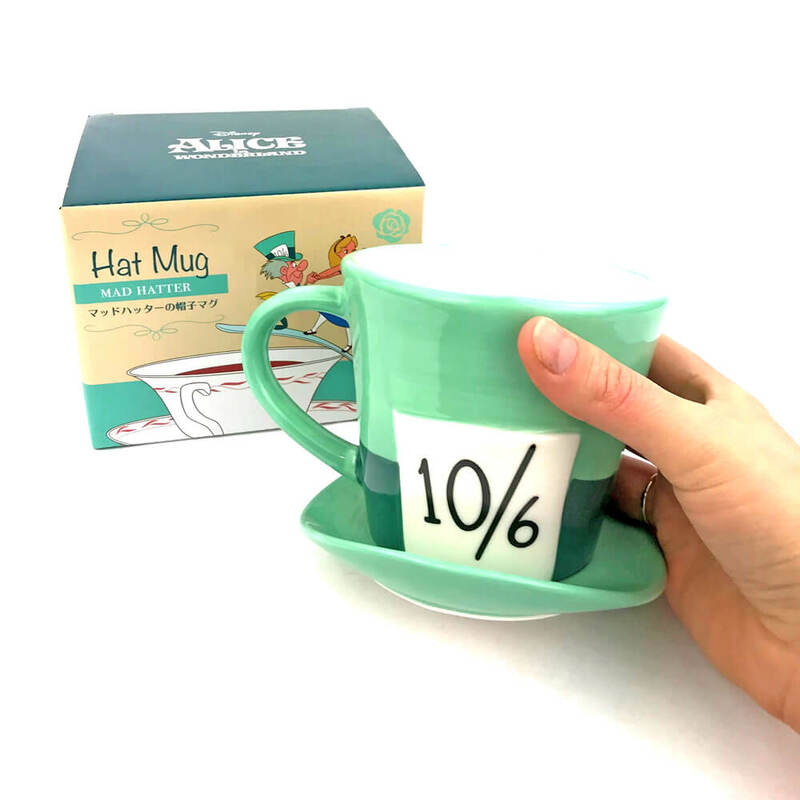 Inspired by Walt Disney's classic animation, your merry mug is sculpted in the shape of the Mad Hatter's top hat, complete with clever hat brim saucer! 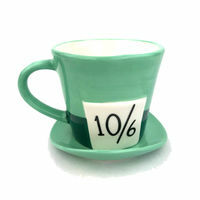 Featuring the authentic trademark '10/6' ticket, it's the perfect mug for toasting your next un-birthday! You will receive: 1 x Mad Hatter inspired Hat Mug with attached saucer. Made from ceramic, hand wash only. Dimensions: 15cm (w) x 12.3cm (d) x 10.3cm (h). Holds 430ml.